Skills practice today. A required element of work for every designer who is worth their salt, so to speak. Fine embellishment is tricky and to get things right and professional, requires regular practice. 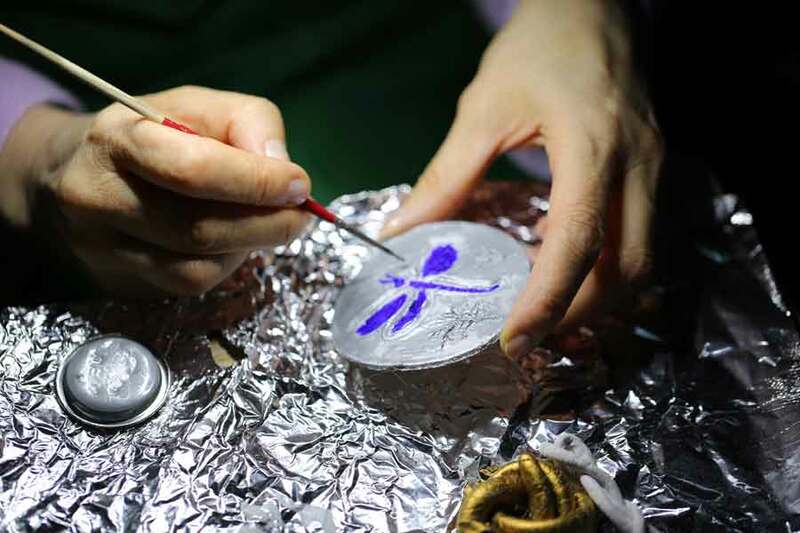 Picture shows enhancing dragonfly clay imprint with colours.